This boyfriend fit plaid shirt was one of my favorite purchases from the Nordstrom Anniversary Sale. In my opinion (and I think others can agree) plaid is the quintessential print for Fall. Now that the temperature cooled down, I couldn’t resist but bust out my plaid shirt. But it is just not any plaid shirt, it is a boyfriend plaid shirt. If you’re unfamiliar with the terminology ‘boyfriend’ in the fashion world, basically this means anything that has that loose and slightly oversized fit. The name came from the fact that it may appear as if you took it from his closet. Ya know? To me, whenever I see boyfriend fit, I get very excited. I’m a fan of loose fitting clothes and wearing that oversized look. 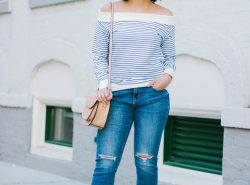 It just screams comfort and in case you haven’t noticed, I love doing the front tuck on all my shirts and sweaters as you can tell from last Monday’s post with a suede skirt, with a v-neck tee for a Fall transitional outfit, or when I decided to wear white after labor day, plus a gazillion more posts haha! 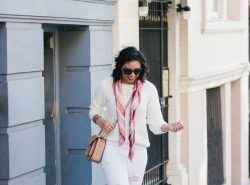 Wearing boyfriend style clothing makes it so easy to do the front tuck. Due to the relaxed fit, this boyfriend shirt is hassle-free. It is seriously one of those you just put on and you look great! Hence, why I love this plaid shirt so much. I am wearing a size XS and there is still a good amount of room in this shirt. P.S. it is great to layer with! Wear it under a quilted vest or a cozy long cardigan. So effortless and versatile! I love boyfriend shirts so much that here are my favorite boyfriend plaid shirts for under $50. Were you guys as excited as I was to bust out your plaid shirts? What are your thoughts on boyfriend fit clothes? No wonder it's a favorite! Darling color combo, darling fit! I love the color combinations, as well! Cute look! 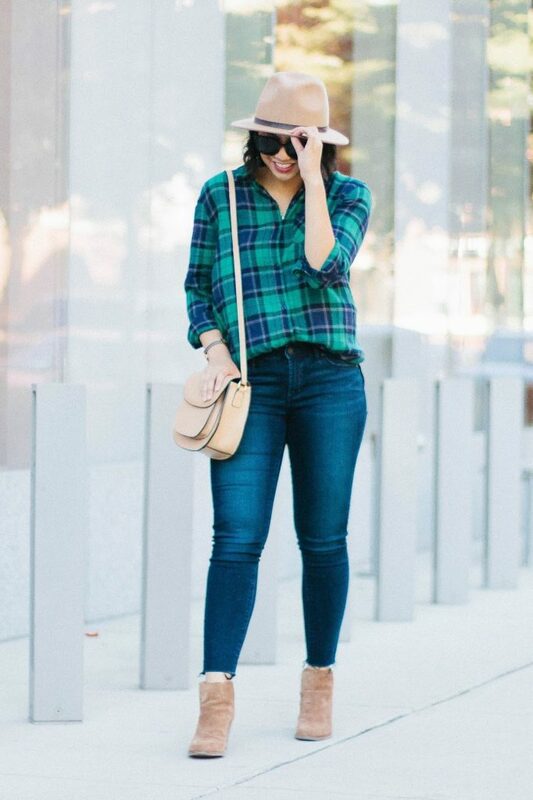 I love the color of this plaid top babe! You look great! That green tone looks wonderful on you! Such a cut outfit! Loving the plaid! Great photos and love the easy going feel of it! 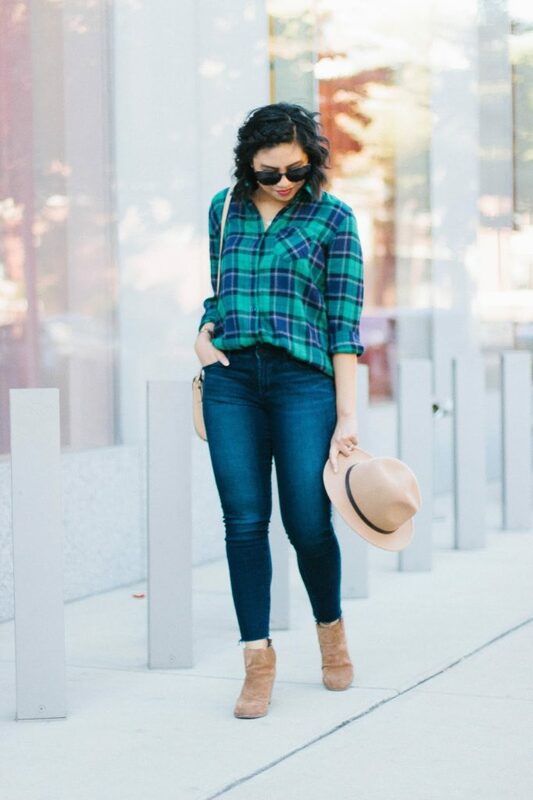 The perfect plaid and the perfect fall outfit! It really is! Thanks Amy Ann! Love this outfit!!! So perfect for Fall! 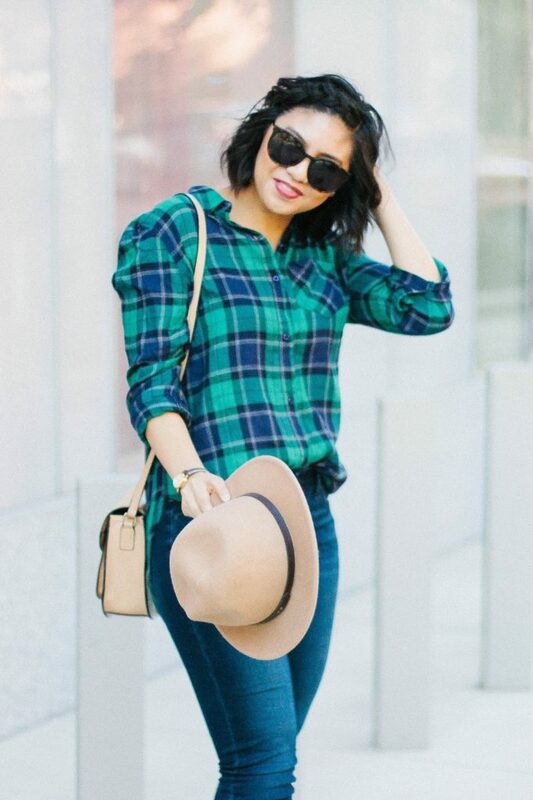 The plaid shirt is great now that it's fall, but that hat! Swoon. I have one just like it and it's a go-to. Oo yes I love your hat collection! Such a lovely look ! Love the plaid ! 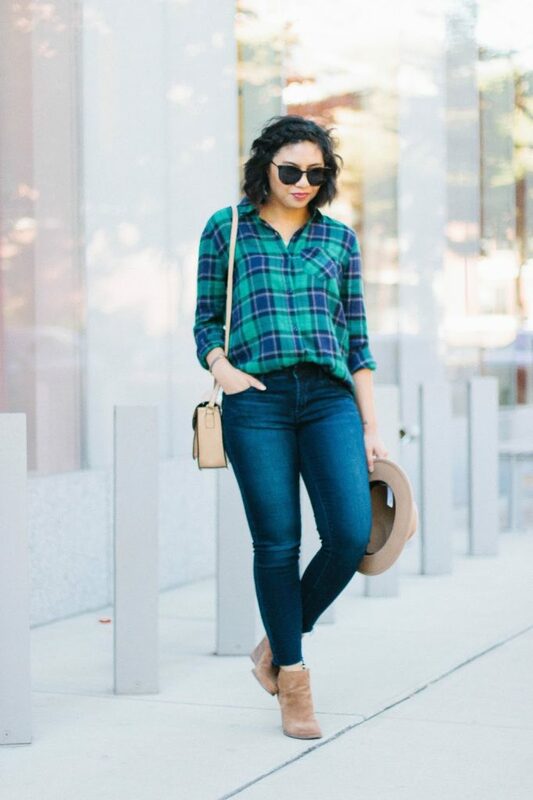 I am loving this gorgeous plaid shirt on you, especially the colors on it! Looks so good with those wedge booties! SO cute! Love the plaid top! You're such a doll! 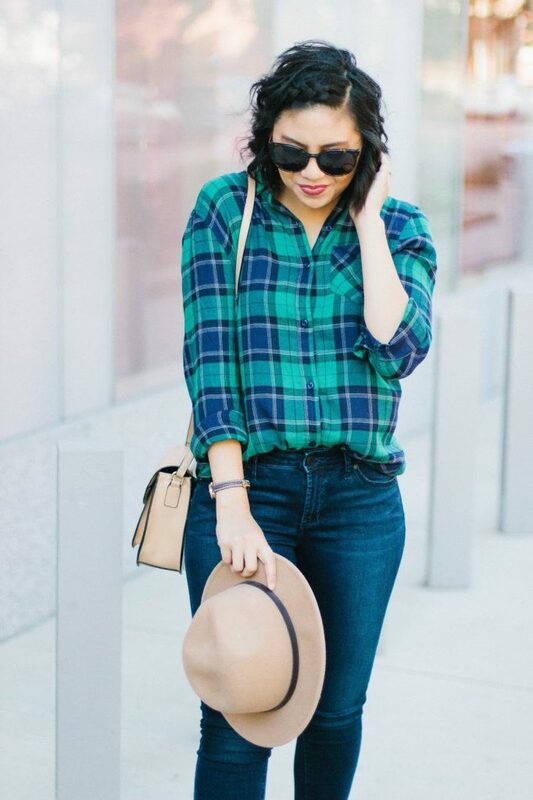 I love oversized anything so this plaid shirt is right up my alley! I love the color! I love the plaid shirt, i always make sure i have it on my closet. I love a good plaid shirt! The colors are just perfect! I love this outfit, the shirt looks great on you! Me encanta este look, sencillo pero con fuerza. Muy guapa. 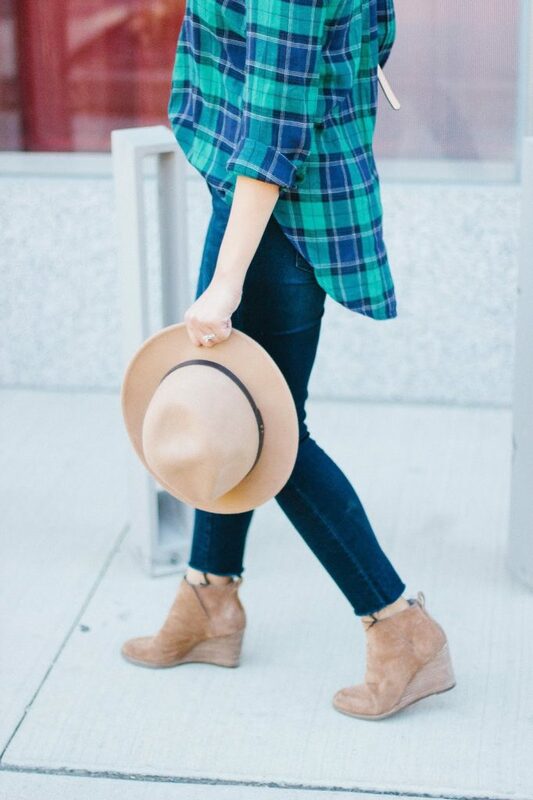 Plain shirt and booties really never go out of style. Cute casual outfit there dear! That is totally true! Thanks Jessica! This is definitely making me want a good plaid shirt!! You look so cute in this one! A good plaid shirt is totally worth it! This plaid shirt is so good! I love the color combos and the hat with it! So perfect for fall! I love that shirt, the colors are really amazing for fall! I need to grab a few boyfriend plaid shirts for the cold fall and winter! Thanks Laura! Def grab some boyfriend shirts! I love the cozy casualness of this look. I love wearing a plaid shirt on the weekends. The fabric is the perfect weight for Fall. I hope you're having a great start to the season! This is a great shirt. I also love those booties! I love the colors in this plaid shirt. So cute! 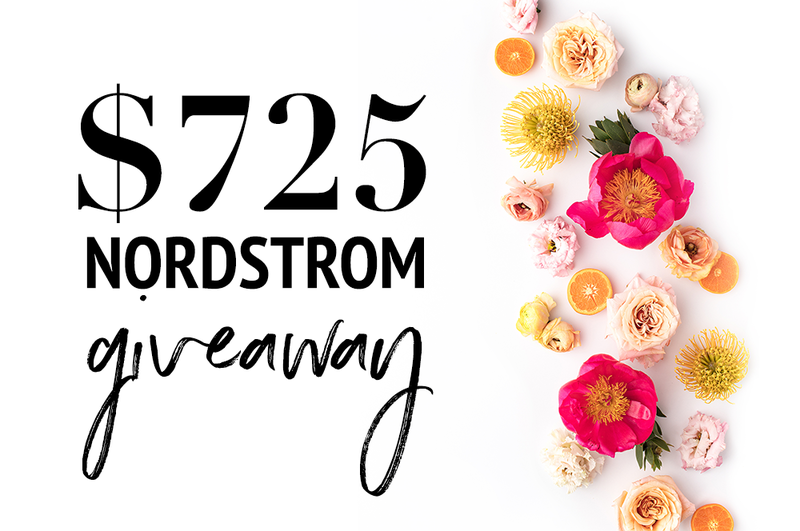 Great giveaway too!!! 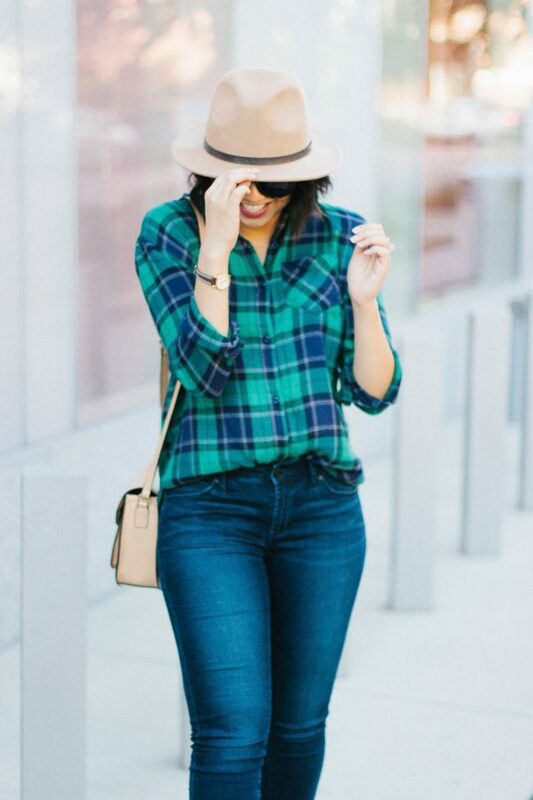 Love the colors in this plaid shirt! Love the "front tuck" reminder! I always forget to do that. Great plaid picks! Haha it is seriously my go-to. I live in shirts like this during colder months. So cozy and versatile! I absolutely love this plaid!! Such a perfect color combo! 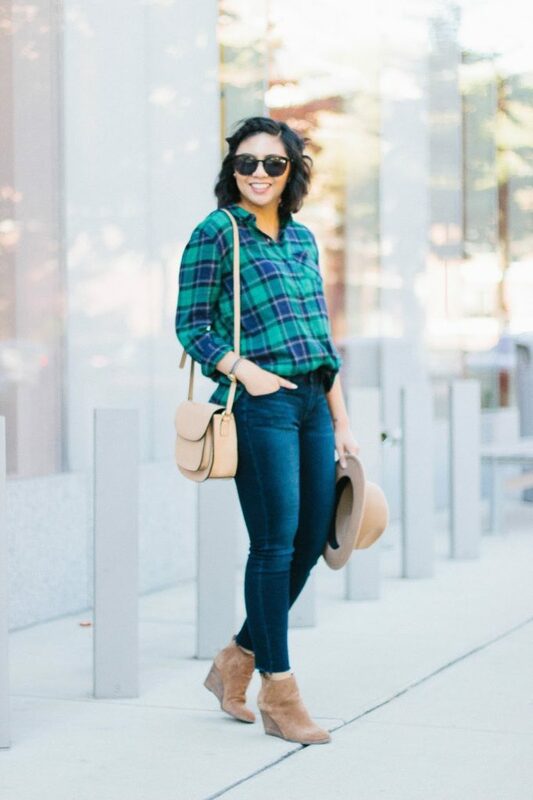 The colour of the plaid shirt is so cool and this look is perfect for fall. that plaid shirt is a winner!! That plaid top is so great! Love the colors!